The Anthropocene designates Earth’s departure from the stable climates of the Holocene and its entrance into a more volatile and unknown operating space as glaciers melt, seas rise, and climates change. As I see it we are living in not only the Anthropocene but more specifically, as I’ve written from multiple angles, in its ‘back loop,’ a time of release, fragmentation, and reorientation . As observed in ecological systems, the back loop is the phase of life when the structures that constitute one order come apart, making way for others to form. In contrast to life in the regimes we are leaving behind, where innovation was stifled and influence limited to a few actors with the greatest power, in the back loop, beings and things are released and open to new potentials. The back loop also designates a broader set of shifting baselines of our civilization, including what is true, what being human means, as well as who gets to answer those questions and in what ways. In such a shifting context, educators, students, and everyone else for that matter, are faced with important considerations. What skills do we need, and who and what can educate us? What can learning and what can teaching be? Such questions were central to the Culture and Media courses I developed at Eugene Lang College in the 2017-2018 academic year. Themes we addressed included: how to understand the present moment; what metamorphoses are governmental regimes and we ourselves undergoing; how to confront the unknown — change around and in you? Amidst all of this, what does it mean to be free? To explore these matters, we often focused on film, television, music, fashion, and ads. 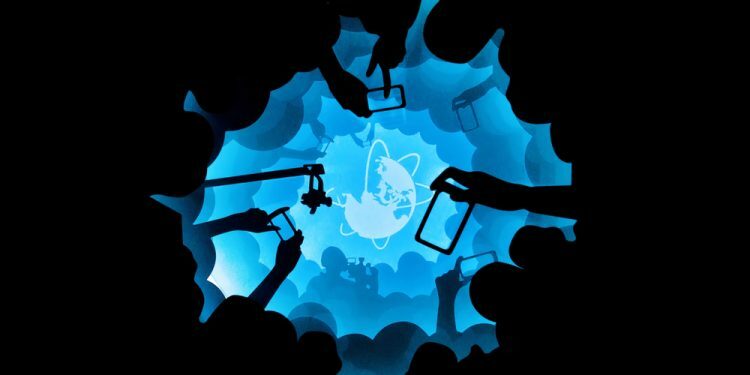 Such media offer important tools for learning and thinking in the Anthropocene, not only because they saturate our lives, transforming our imagination in deep and subtle ways both productive and destructive, but also because, where politics and theory frequently seem out of touch, media feels vital, forwarding wildly varying images of life and future. It’s not only consumption of media that allows us to think through the Anthropocene, but creating media and other tools as well. Since times of deep change are often perceived existentially rather than cerebrally — singularly rather than abstractly — media is an important tool because it allows us to express ourselves beyond the written, verbal, or even cognitive. As such it opens us to our own particular intuition, which perceives with great clarity and sincerity. For example, what is the meaning of the now? We could say we’re living in a civilization that’s already dead or that’s on life support, or maybe another way to think our time is that it’s more like Area X, a zone of mutation and the fundamentally unknown. As depicted in the recent film Annihilation, which our Anthropocene Futures: Climate Fiction in Film and Literature class saw at AMC Village 7, Area X (spoiler alert) is as if another planet has been plopped down on the one we knew, creating mutation across scales. Mysterious but also mesmerizing, Area X is a place where anything could happen, where the likelihood of transforming physically or emotionally is high, as is the likelihood you might become something you never could have imagined. If you’re using the old codes, nothing makes sense. 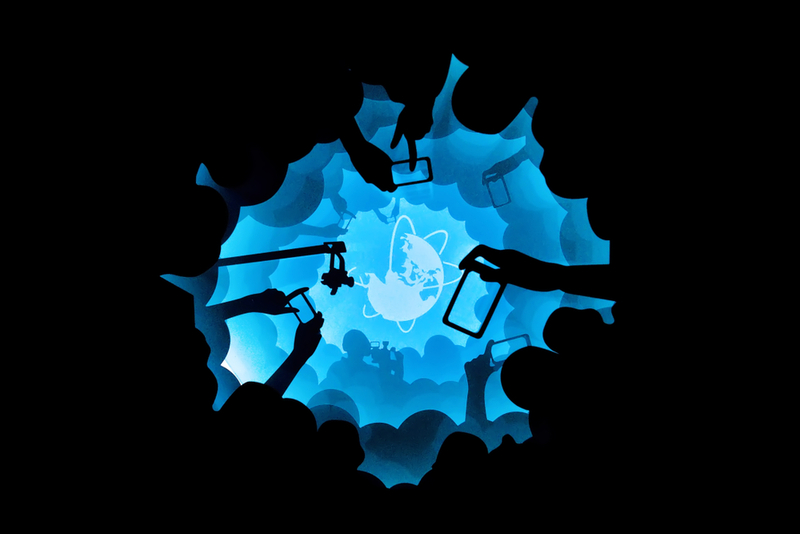 An armada of society’s ‘experts’ descend upon Area X in hopes of solving its mysteries. But between a biologist, psychologist, anthropologist, physicist, and soldier, none can explain the zone; it is not a problem to be solved or judged, but just a new world to be inhabited. One of the most common observations I and my students make is that reality is outstripping expert accounts of it. Rather than exploring the possibilities for new ways of living now open to them, many critical theorists, for example, are still trying to impose standards for how to live. Whether they deem it entanglement, emergence, or anti-anthropocentrism — here think efforts to de-center humans in favor of the natural or technical — each aims to stabilize (to govern) life, albeit by declaring the latter to be unstable and outside human control. Others search the pages of political history for answers, seeking models from earlier moments and frameworks (we are not however trying to win the Great Railroad Strike of 1877). Politicians and Twitter users project their own self-hatred onto everyone else. Unable to find one’s own way of inhabiting and interacting with them, transforming conditions lead to confusion, insecurity, and resentment, and for many it is easier to seek firm ground in the past, as Lang student Niamarie Vargas puts it in Can We, a song she composed and performed for this class. Screenshot from Vargas video diary performance. Video by Niamarie Vargas. As student Sabrina Wu reflected, who can actually educate us? Faced with the illegitimacy of judgment calls by existing yet increasingly irrelevant societal authorities — political, cultural, intellectual — how to become a free thinker? For students the response was simple. It’s time to evolve and to shed what no longer serves us in this moment. Try things out. See what feels right, what fits. Instead of sentimentally taking refuge in the past — the librarian — and rather than looking to de facto but out-of-touch authority figures — the police officer — we now have the opportunity to redefine education, learning, and thinking writ large on our own terms. Rather than subsuming the present to existing frameworks — thereby confirming what we believe we already know, i.e. the resilience of neoliberalism’s latest stage, the imminence of apocalypse/paradise, etc. — we can find potent forms of expressing the now beginning from our own experience, or in the media and textures we inhabit daily. 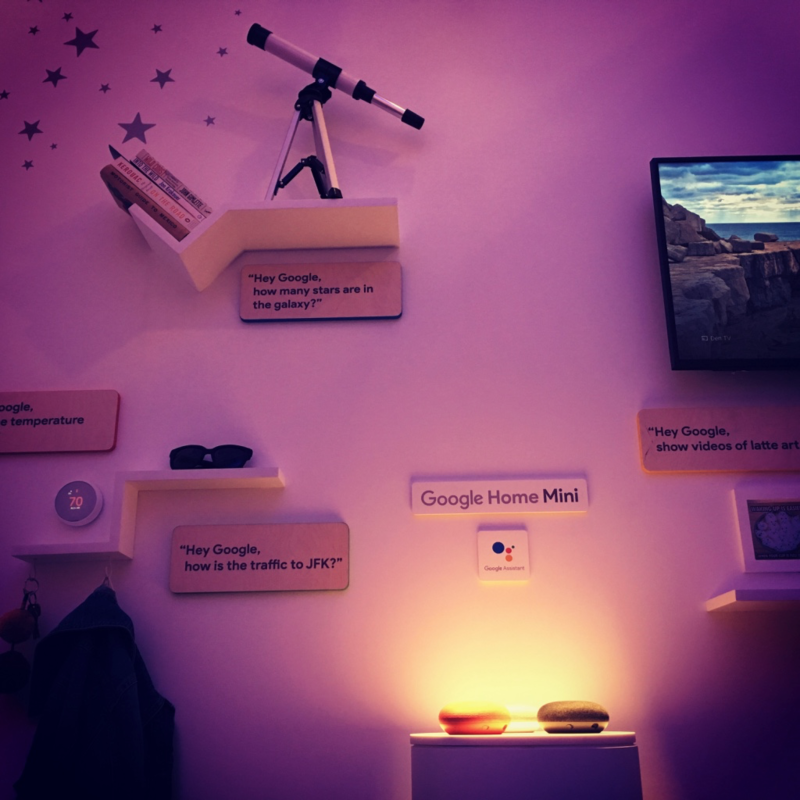 Class visit to Google Pop-Up store on 5th Avenue. Photo by Stephanie Wakefield. Anthropocene BOPS playlist by Annabel Finkel. The present can equally be interpreted through one’s own body, as Isabella Kazanecki does in her dance performance video collage. The piece is comprised of movement variations she choreographed, danced, and filmed herself, intercut with archival footage, text, and audio narration. In it, Isabella forwards a creative, physical interpretation of the back loop — as well as class themes including destituent power, a notion of political practice forwarded recently by philosopher Giorgio Agamben — and takes the opportunity to train herself in video editing while putting her dance expertise to new use. Watching her video, one is aware of the body’s ability to cut powerful images and shapes to communicate beyond verbal language. 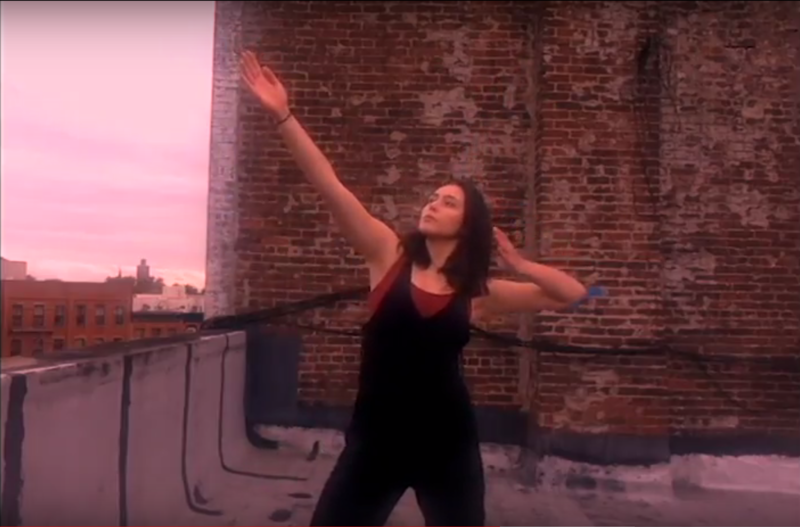 Screenshot from Isabella Kazanecki dance performance video. Video by Isabella Kazanecki. “Untill,” video and music piece by Galen Peterson. Or, take Lang sophomore Galen Peterson’s brilliant video diary series, created over the last two semesters, capturing the thread of one unique, lived experience of the present, with microscopic personal details as refractions of the large now. Combining electronic music that he composed with original and found footage, Galen’s videos flow through diverse themes from social media and urban warfare to physical fitness and subjectivity. Each video offers a unique window onto the way the present is experienced electronically and IRL, in the pursuit of a life of power and growth. Across these diverse interpretations of the back loop, the immeasurability of forms of the good life emerges as a key theme and lesson. 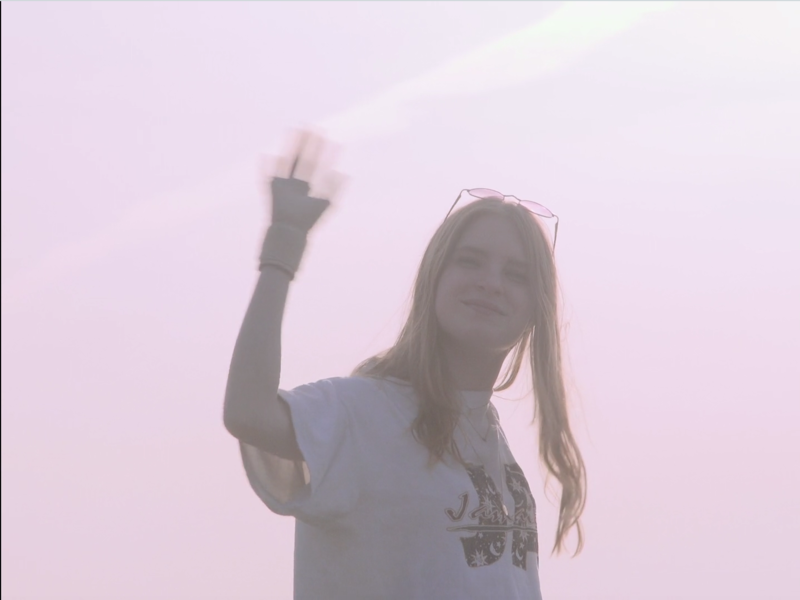 As Alice Agrusa explores in her video diary, there is no yardstick by which a meaningful, rich, or secure existence can be judged. Instead of moral codes or universal Musts, it’s a question of what we each need and want, and what suits us where we are. Screenshot from Agrusa video diary. Video by Alice Agrusa. While critical theorists tell us hubris is no longer acceptable and to instead celebrate the life of things or a world without us — bolstering a regime of governance which tells much the same story — diverse factions of the world’s elite are getting organized to thrive amidst a civilization in free-fall. Sea walls to protect Wall Street; luxury bunkers in New Zealand; Google’s infrastructure on the moon and geoengineering Mars. What about the rest of us? If there is a curriculum for the present, it includes skills and strategy. Rather than holding them back, we can be equipping our students (and our selves) with resources to powerfully inhabit the new world they’re already in, in whatever ways they see fit. 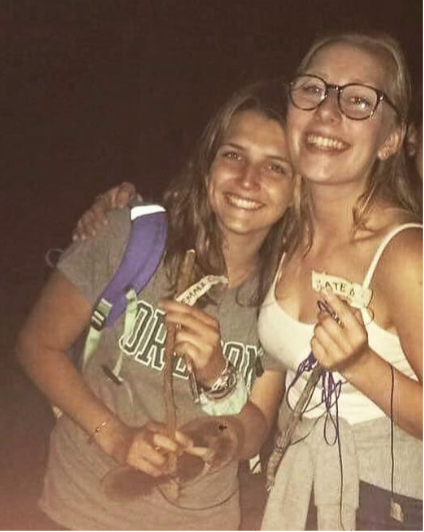 Kate Bilezikian and her campers pose together after a night in the woods. Photo by Kate Bilezikian. Basic skills are an obvious starting place, and the desire to learn them is omnipresent amongst students. In our class Anthropocene Life, Lang senior Kate Bilezikian explored the power of learning such skills via a memoir of her experience as a camp counselor. Leading eight 11-year-olds through 20 nights together in the woods without phones or electricity, she has both learned and taught what she sees as key lessons: not freaking out; starting a fire; cooking mac n cheese in the woods; being able to predict downpours. After this trial in the ‘cabin environment,’ according to Kate, each camper is more confident, funnier, and closer. In-class go-bag building. Photo by Stephanie Wakefield. 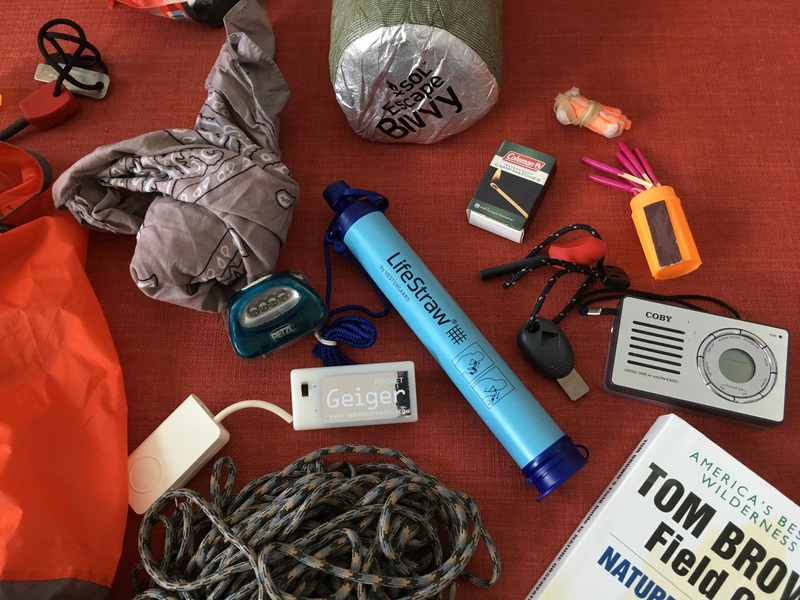 We have exercised in class, built bug out bags — portable kits of key items needed to be ‘on the go’ for 72 hours — and hosted guest visits from wilderness skills instructors. For our class Unsafe Operating Space, Lauren Glading taught herself to make a series of knots, while Elsa An researched self-discipline techniques to overcome anxiety. In her multi-semester research into social media and IRL #vanlife movement, Isabella Melita explored vehicle housing as one material means to autonomy, “like a go bag but it’s your home.” With previous generations’ version of the American Dream falling apart — home ownership increasingly out of reach as wages fall and debt grows — for many millennials, suggests Isabella, van dwelling represents a new American Dream based on living by one’s own leave, unrestricted by place and possessions, powered by solar panels and camp stoves. Beyond these, other tools for taking hold of our lives discussed include learning how to live with water; swim/kayak/paddleboard/boat; start a fire; drive and fix cars; heal wounds; grow and store food; code and design; throw a hurricane party; exercise our bodies and minds; trust our own instincts. 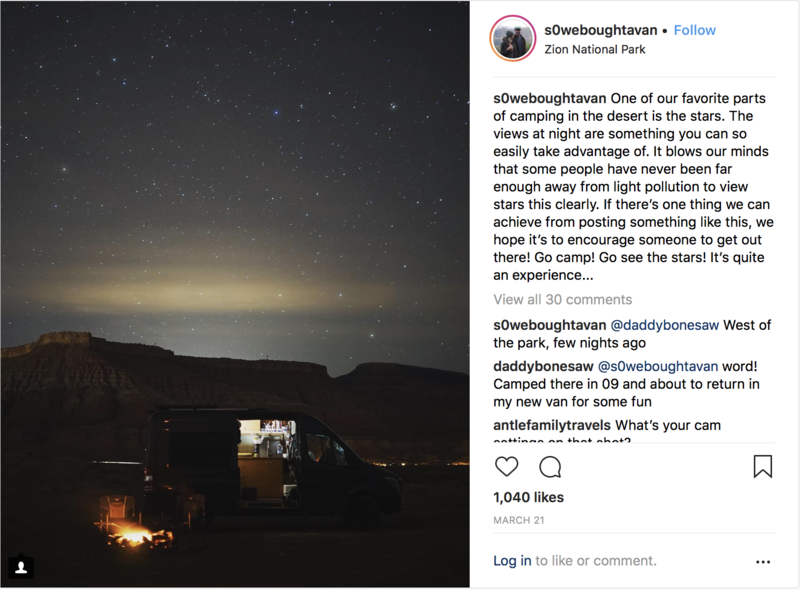 An Instagram post analyzed by Melita in her research paper #vanlife. But equally important as such ‘survival’ skills — which of course any practitioner knows are never about just survival — is the need for tools to uplift and grow our minds and spirit. In his historical and autobiographical study, student Dawit Yohannes Kiflemariam offers Rasta as one such tool, a way of life offering “promising and hopeful opportunities in a time that is characterized as hopeless and only capable of manifesting negative outcomes.” Dawit likewise composed his own original music — which he and his band performed together for the first time in class — the aim of which was to move beyond the degraded subjectivity called forth by neoliberalism and resilience into a higher, more upful and vital human spirit. In-class performance by Dawit Yohannes Kiflemariam and The Do Good Band. Video by Stephanie Wakefield. When it comes to tools and techniques of life, the question is not old or new, high or low tech, but what makes sense and what fits. In her Anthropocene Life final project, Culture and Media sophomore Gabriela Garcia did a critical analysis of resilience in the media as it was deployed while the people of her home country, Puerto Rico, were without running water, electricity, and food shortages. Alongside this, Gabriela documented contrasting efforts by ordinary people at Casa-Taller Cangrejera in Santurce to build autonomy post-Hurricane Maria, showing how many such techniques are being figured out in situ in the absence of institutions, putting everyday objects to new use. 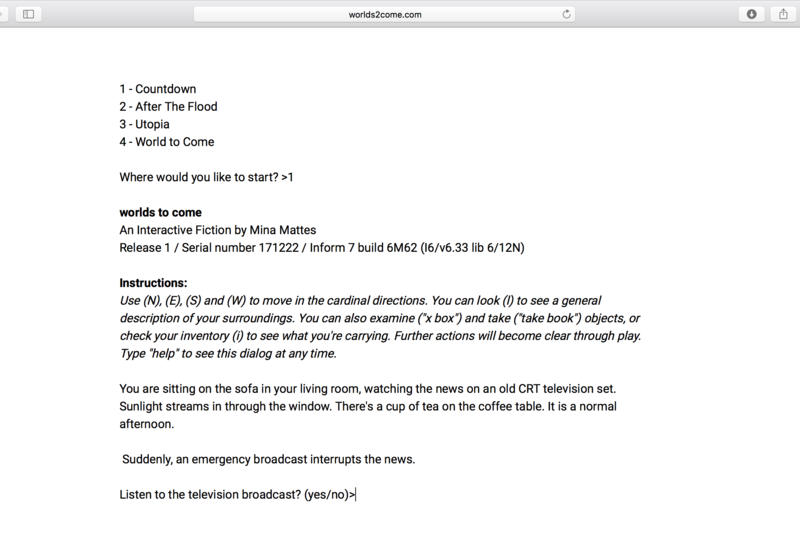 To help differentiate ways of responding to crisis government, Philomena Mattes made a text-based game as an immersion experience in the theological-philosophical themes of apocalyptic and messianic time. In another class, The City as Lab, we explored the implicit lessons in Pyer Moss’s climate futures aqua couture featured in the Museum of Modern Art’s Is Fashion Modern? exhibition, while Owen Langan designed his own original line of streetwear evocative of recent moments. Through his joggers to hoodies, Owen did not seek to impose moral lessons regarding the environment — as most eco-fashion does — but rather used recent events as inspiration by, for example, using a color palette motivated by the new shade of purple introduced in meteorologist charts to depict new highs of rainfall in Texas during Harvey. New climatic realities engender new aesthetics. This has surely always been the case. Screenshot from text-based game designed by Philomena Mattes. Mental training is also important. Young people are besieged by media and government teaching hate and destruction, of each other and oneself. Contemporary culture is dominated by incessant catastrophic imagery — extinction and apocalypse saturate DC, Marvel, and cli-fi universes, while the majority of media uses disaster framing when discussing climate change — projecting both present and future as landscapes populated by exhausted, broken characters. What other kinds of life are possible today, and not only in fiction? Instead of being ruled by fear and anxiety what kind of people do we ourselves want to become? Reactive or active? How to become anti-fragile and loving, confident and free humans? Getting a grip on our own minds might seem small or introspective but it’s of great importance in this context. 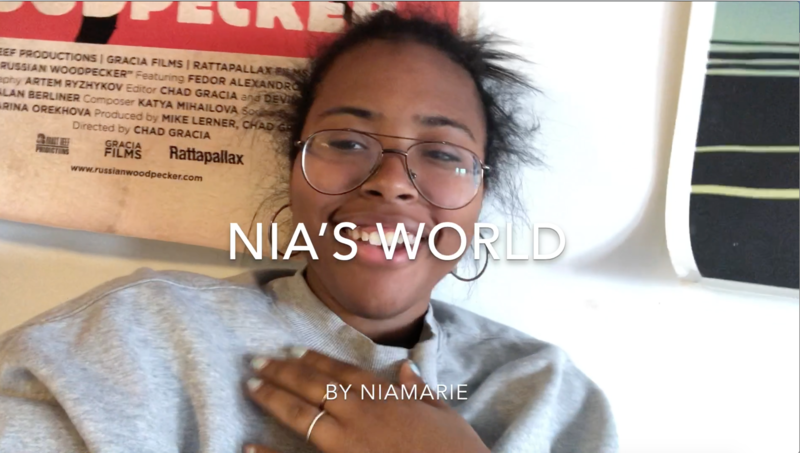 In this vein, Culture and Media junior Lauren Harris created a video montage of poetic aphorisms and mottos spoken by Lisa ‘Left Eye’ Lopes, Eartha Kitt, Tupac Shakur, Oprah, Nina Simone, and J. Cole for becoming anti-fragile — a concept from Nassim Nicholas Taleb which we studied — each of which she analyzed as a tool for owning her mindset amidst the distractions of media and volatility discourse. In class, we tested out Stoic practices of the self, as well as Hagakure meditation on death. Close your eyes. Imagine dying, vividly and repeatedly. Consider your feelings and thoughts right before death. The goal of this exercise is not morbid, and it is not to create fear, but to diminish the latter’s power over us and increase calm. It is moreover to bring us back to the present so we do not miss it, and to ask whether the way we are living is the way we want to be living. In contrast to the apocalypticism of contemporary culture, to inhabit this other temporality means to no longer wait for something to fall out of the sky and transform us. To instead view each moment of our lives as the real ones — because they are the only ones we will have. I, like many of my students, am exhausted by the apocalyptic and hateful images being forced on us by political culture, and by the rigid modes of discourse that portray life in the Anthropocene as survival amid entangled ruins of a broken world. “Annihilation! Annihilation! Annihilation!” the psychologist of Area X screams repeatedly, hoping to make the biologist self-destruct, only to realize that the more she repeated it, the more meaningless the word seemed. Like apocalypse, the End, or all the Guardian Environment articles retweeted each day — the word tends to lose its power with aggravated repetition. Contrary to continual statements regarding the ‘obligations’ posed to us by the Anthropocene — antihumanism, entanglement, despair — an earth epoch does not ‘tell’ us anything. It is not a thing, it doesn’t have a mouth of hands, is not a force facing us. If anything, the Anthropocene is only the shorthand for an historical moment, one marked by transformation. As such it can only be taken up, explored, inhabited or not. There is no one way to inhabit the earth or to move on it, and no authority with the right to proclaim it. There are only the infinite techniques through which we enact ourselves and worlds. Ours is a time for an expansive process of learning and growing. If we no longer find ourselves equipped with a functional toolkit, it is time to develop our own according to our experience and needs. Lang students’ work is a testament to how powerful this approach can be, producing sensitive as well as strategic images and thought. For them it is obvious that there is more to life than crisis. * Note: The student works presented in this essay are excerpted from larger projects and do not represent the full scope of students’ research or analysis.